One of the world’s biggest health and wellness media companies has vaulted spryly on to the auction block. On Wednesday, Rodale, Inc., publisher of Men’s Health, Women’s Health, Prevention and Runner’s World, among other titles, announced that it is considering “strategic alternatives” for the company, including a potential sale. The announcement didn’t disclose an asking price for the family-owned publisher, and also left the door open to other options, such as the sale of specific properties, groups of properties, or individual businesses. Rodale is retaining Allen & Company LLC to serve as a financial advisor during the strategic review process. The closely held company also doesn’t release revenue figures, but in 2015, it was rumored to be taking in between $300 million and $350 million per year, including its consumer magazine division, as well as a robust book publishing business. That would put it in roughly the same ballpark as the National Geographic Society, whose magazine, film and book-publishing revenues totaled $337 million in 2014, the last year for which figures are available. A year later NGS sold a 73% stake to Fox for $725 million, suggesting a total value of just under $1 billion, but it’s hard to know whether these calculations might hold true for Rodale, which holds an unknown amount of debt and other liabilities. Fox’s interest was also fueled largely by NGS’ video production capabilities, while Rodale’s business is still dominated by its magazine and book brands. 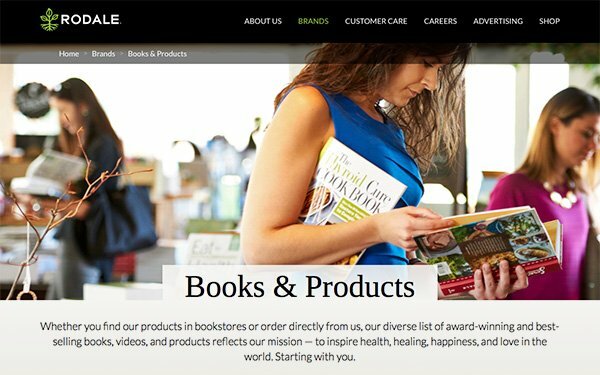 If Rodale doesn’t receive a suitable bid, the company is prepared to continue pursuit of its long-term business plan, which has included aggressive cost-cutting measures over the last few years, including closing Running Times, taking Prevention ad-free and raising the newsstand price, closing its Grow custom content studio, and number of layoffs. These have been accompanied by some big executive shifts, beginning with Maria Rodale’s return to manage day-to-day operations of the publisher in November 2015. Last September the company appointed Beth Buehler its first COO; she previously served as SVP for digital. In March of this year, Ronan Gardiner was promoted to become the company’s first chief advertising officer, while Adam Campbell was named chief content officer and Bill Strickland was appointed group editorial director.